The Edge in Hair is a full service hair salon in Castle Hill that has been delivering highly professional, personalised services for over 15 years. Our focus is on providing our clients with the full experience. This means discovering the style that makes you look and feel amazing. Our experienced and skilled team of stylists will help guide you through the process of discovering just what works for you so you leave feeling like the best version of yourself. 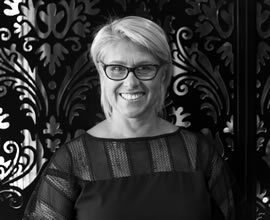 Our team of highly trained, professional and caring hairdressers in Castle Hill have created a warm, friendly atmosphere to ensure that every experience with us is relaxing and enjoyable. Whether you are coming for a haircut, colouring, wedding day style or to purchase any of our premium Paul Mitchell products, a visit to The Edge in Hair beauty salon is a chance to take time out and treat yourself. 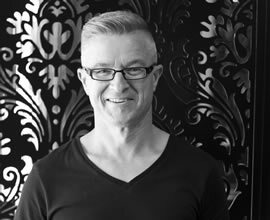 Leigh has over 30 years’ experiencein styling men’s hair, his passion towards the ever changing trends in men’s styles keeps Leigh in high demand in the Hills area. His flair for old school but never old fashioned Barber shop services makes Leigh the perfect choice for your personal grooming needs. 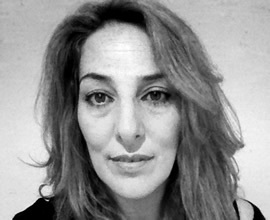 Koula’s love for creating fabulous hair for her clients makes them feel confident and beautiful. With the ability to listen to her clients, she understands their lifestyle which lets her achieve the perfect look for them. From bridal parties to an awesome new look Koula will make sure you feel at home in her salon. Kathys natural and articulate flair is her way of expressing creativity when it comes to hair. Her many years of experience has given her the expertise for cutting and styling any length of hair. Kathys main aim is to have her customers tell her “ I love it “ If they are smiling and feeling good about themselves” I know my job is done” says Kathy. As a full service hair salon, we provide a range of services for men, women and children in the Castle Hill area. From simple haircuts and blowaves to upstyles, hair treatments and facial waxing, we invite you to indulge and enjoy the experience as our hairdressers transform your look. Learn more about our services here. If it’s time for a change, or you simply want to update your look, stop in today or give us a call to arrange an appointment.